Thinking about a summer in Emilia Romagna often means image a sun lounger under a parasol, on the Riviera. But this beautiful Italian region offers something even to those who doesn’t loves crowds, social night life and prefer to take refuge in a green oasis, surrounded by silence, yet enjoying a refreshing swim in the crystal clear waters. 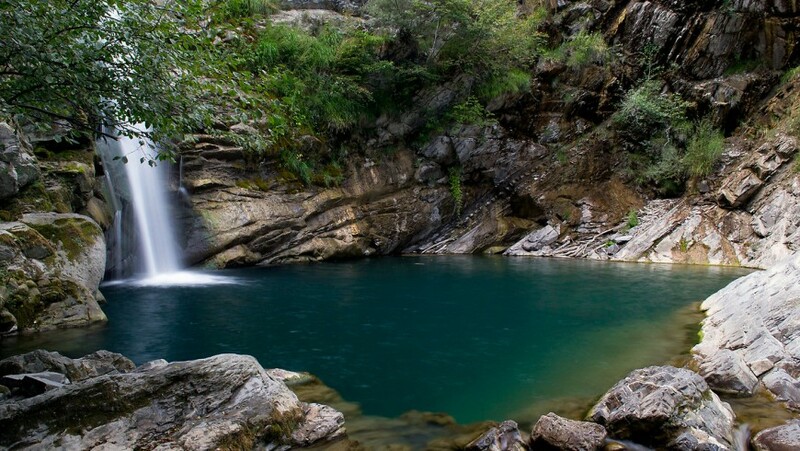 In the Apennines and in the valleys rivers and waterfalls create wonderful natural swimming pools, perfect for spending a very special summer day. We follow the stream bucket, until the wonderful waterfalls. 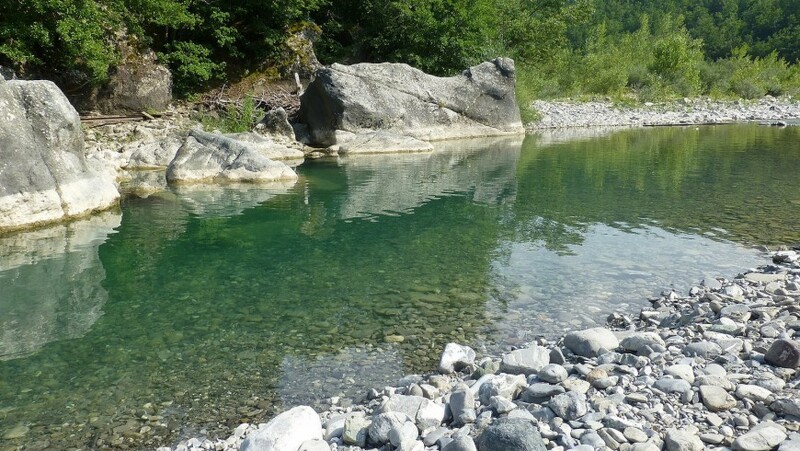 The most courageous can dive directly from there in this wonderful natural swimming pool with a jump of 15 meters, others can simply relax and cool off in its clear waters. 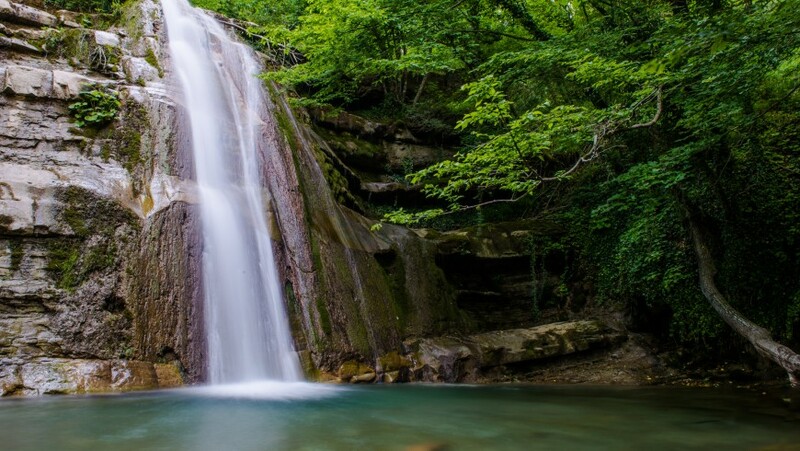 We enter the heart of the National Park of Casentini Forests, Monte Falterona and Campigna, in an enchanted forest where the wild nature reigns. Here you will find the beautiful waterfall of Acquacheta, compared to the River Flegetone from Dante Alighieri. After the route to get here you just need to divein this place so special. We are 400 meters above sea level, in the small medieval town of Varsi. 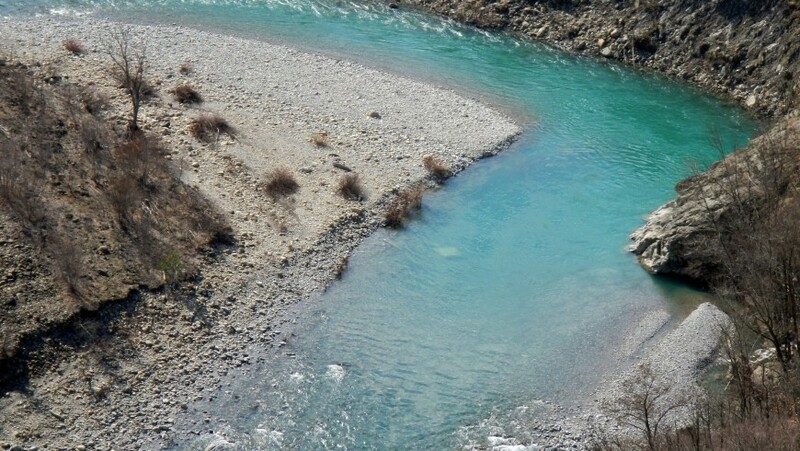 Here discover the Ceno river that with its green waters as the emerald surrounded by forests of oak and ash is the perfect destination for a refreshing swim on a sunny day. 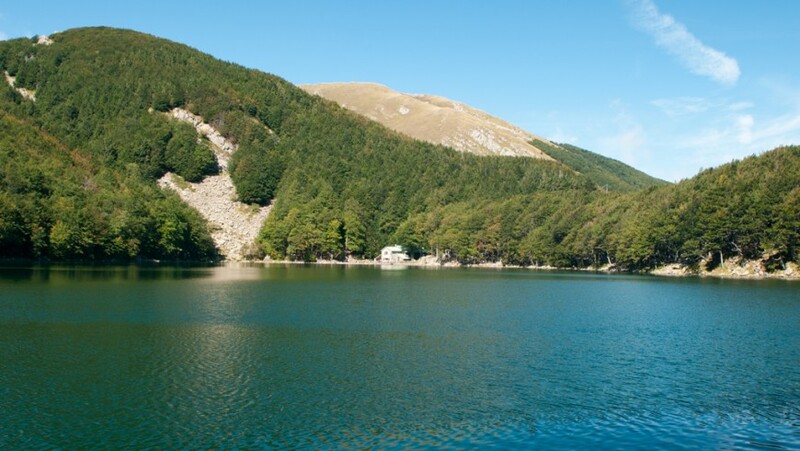 Those who love cooler waters and mountain should visit the Lake Santo, in the province of Modena. Its dimensions are relatively small, but the environment in which it is embedded make it a real gem. Dare you dive in its frozen waters? The canoe, kayaking and rafting lovers probably already know this river that runs through Trebbia Valley, one of the most beautiful mountain valleys of Emilia Romagna. In the locality of Marsaglia you will also find a beach, perfect for relaxing in pristine nature. Where to stay: the farm San Martino is located about 1 km from the center of Bobbio, and a few hundred meters from the river Trebbia and offers organic food and comfortable rooms. Do you know any other natural pools in Emilia Romagna? Share them with us! This entry was posted in journeys and tagged Emilia Romagna, Italy, lakes, nature, rivers, summer, waterfalls. Bookmark the permalink.